The skin is the largest organ of the human body. With that in mind it is easy to understand why the skin is susceptible to a lot of ailments. There are various skin treatments that can be used for the many different skin problems we may face. The treatments range from over the counter prescription medicines and topical creams and lotions to various therapies and prescription medicine. The most common acne treatments you can find are the ones that are being sold over the counter. These are usually used for milder cases of acne. In case one’s acne condition is more severe then your healthcare provider can give you prescription medicine. Doctors can give you retinoid gels and retinoid creams even without oral antibiotics. These have the ability to curb acne in a patient. Blisters are primarily caused by minor burns or by friction on the skin. Most cases of blisters won’t need care from your doctor or a trip to the hospital. As part of a natural process of healing, new skin will eventually form underneath the blistered area. The fluid that you usually see that is inside the blisters will naturally be absorbed. Part of blister treatment to not pop or puncture it. The only time that you will puncture a blister is when it is painful, large, or if expect it to be irritated even further. The fluid inside the blister actually prevents the skin forming underneath from getting infected. It also keeps that part of the skin clean. In case you have to pop a blister use only sterilized equipment. You should wash the affected area thoroughly. Don’t remove the skin covering the blister. You’ll know that a blister is infected when the fluid appears yellow or white. 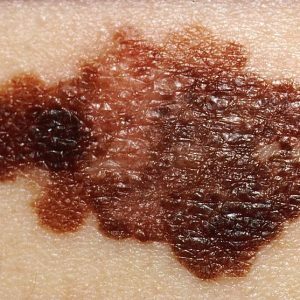 There are different treatments for skin cancer. Skin treatments include applying chemotherapeutic ointments, surgery, radiation therapy, and immunotherapy. Chemotherapy is considered a rare form of treatment for skin cancer. Unfortunately, there is yet no known cure for rosacea. The primary treatment is to avoid the things that trigger rosacea. 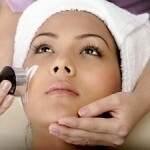 Skin care is also part of the treatment, which includes using moisturizers, mild skin cleansers, and non-oily cosmetics. The goal is to identify the triggers and avoid them and apply supportive skin treatment. There is no permanent cure for psoriasis but it does respond to treatments. Treatments include the use of topical creams, systematic drugs, and biologic drugs. Sclerotherapy is used for the treatment of varicose veins. In this medical procedure, these veins are made to fade from human view by injecting a solution into the veins. Other than that, microfoam is also used for treatment.